Adelaide export Rob Hunter is back home to present a brand new stand-up show at Rhino on Raj as part of this year’s Fringe. Having written for and with some of the biggest names in the Australian comedy scene (both in the stand-up and television spheres), Rob promises to bring a weird and entertaining show that weaves together storytelling and sketches. Lisa catches up with him to find out more. 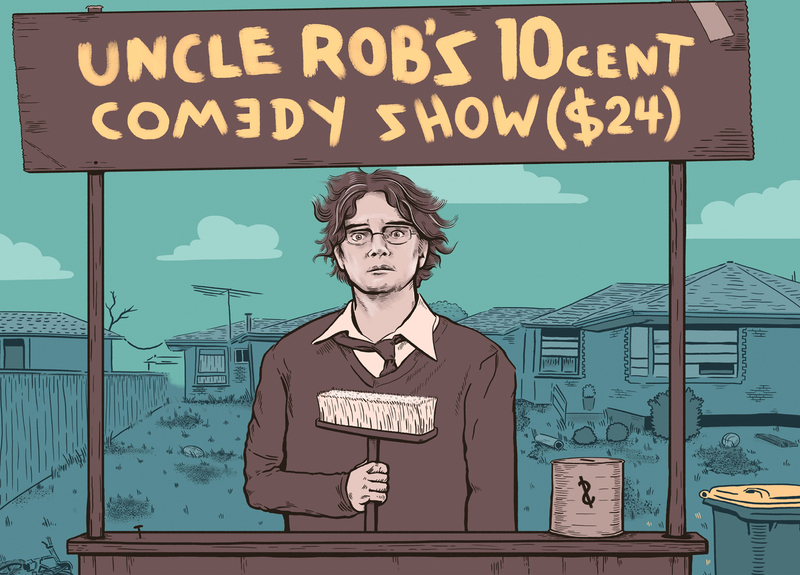 Uncle Rob’s 10 Cent Comedy Show ($24) has a short season of only 5 shows so don’t miss out. Click here for further information and to secure tickets. You can follow Rob on Facebook, Twitter and via his official website.